I had a hard time finding a well fitting, comfortable nursing bra. On someone’s advice, I went shopping for some during my pregnancy, a few weeks before my due date. I found a couple of nursing bras that seemed to fit well at the time, however, after my son was born, I quickly dropped a lot of weight (water), and suddenly, I could not use them. My newborn son was quite demanding of my time and it was too difficult to go bra shopping in the early months. Finally, I decided to visit The Upper Breast Side. This store was quite an experience. It’s run by a family of women. They were no-nonsense, no frills, straight down to business. It’s not a type of place where you go to browse, but it’s great if you need a nursing bra, a baby sling or a breast pump and are intending to buy. I came in, filled out a form and sat down on a bench. While waiting to go in for my fitting, I witnessed an interesting sling demonstration (for another shopper) and learned a few new tricks. Once my turn came up, I was escorted behind a curtain, where there was a bassinet to place my son and I was asked some questions, measured and fitted with excellent nursing bras. I ended up buying two. 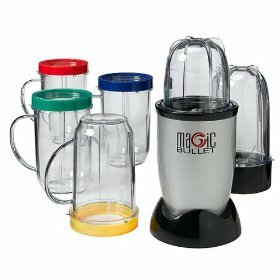 They are a bit pricey, $50-70 each, but I intended to nurse my son for a year and thought the comfort was worth it. I would definitely recommend the Upper Breast Side (135 west 70th Street, NY, between Broadway and Columbus Ave). I would also recommend buying one cheap nursing bra before the baby is born, so that you have something, but if you are going to splurge, I would suggest waiting to see how your body changes after the baby arrives. P.S. If you do visit the store, they sell an inflatable My Breast Friend pillow, which is great for home and for travel, and which I was not able to find anywhere else. You can read more about it in one of my previous posts HERE. When my son was a newborn, I used a Peanut Shell Sling, which goes over one shoulder and provides great support for a tiny baby. He loved being in there and would fall asleep almost instantly. It was a fantastic way to calm him down and allowed my husband and I to go out to restaurants for a peaceful meal. I was able to discreetly breastfeed in the sling so it really helped make the first couple of months easier. Because the sling distributes the baby’s weight unevenly on your body, it is important to switch sides often. 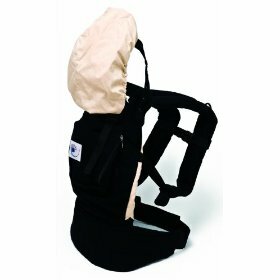 If you have back problems, a carrier that distributes the baby’s weight more evenly may be a better option. When my son turned 2 months, I switched to using a Baby Bjorn Synergy with back support, which felt much better for me and allowed my son to face in our out (once he had sufficient head support). I figured out how to breast feed in this carrier, and really enjoyed it for a few months. Then, my son got heavier (16lbs), and my upper trapezius muscles (between neck and shoulders) started to really hurt and cramp when I carried him for even two blocks. My husband still uses the Baby Bjorn and really likes it. My son seems very happy in it, especially when he is facing out, but I am just not able to use it any more. 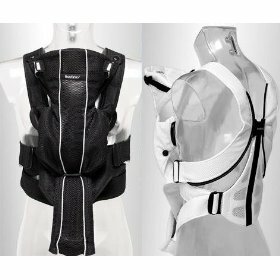 My next purchase was the Ergo Baby Carrier. This carrier only allows the baby to face you, there is a special insert that can be purchased for a newborn, and the child can be carried on your back. When my son is in the Ergo, his weight is distributed much more on my hips than my shoulders, and this enables me to carry him around longer. If he falls asleep, I can walk around for about an hour and although I may feel a bit tired after, I do not have pain. The Ergo has a pocket, so I can pack one diaper, a small container of wipes (in a ziplock bag) and a disposable changing pad, in addition to my wallet and phone, so I don’t need to bring a bag at all if I have my son in the carrier. 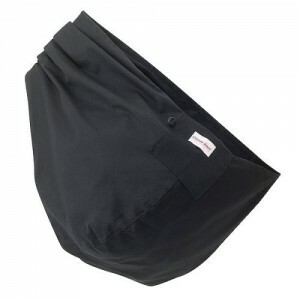 It also has a piece of material that can be used to cover the baby’s head, useful during breastfeeding on the go or for support when he falls asleep. The Ergo has allowed me to continue to carry my now 6 month old son in a comfortable and pain-free way. I have tried three kinds of nursing pillows; Boppy, My Breast Friend, and my latest discovery, the Inflatable My Breast Friend. I think they are all great for nursing, and found that I preferred one or the other depending on where I sat to nurse. 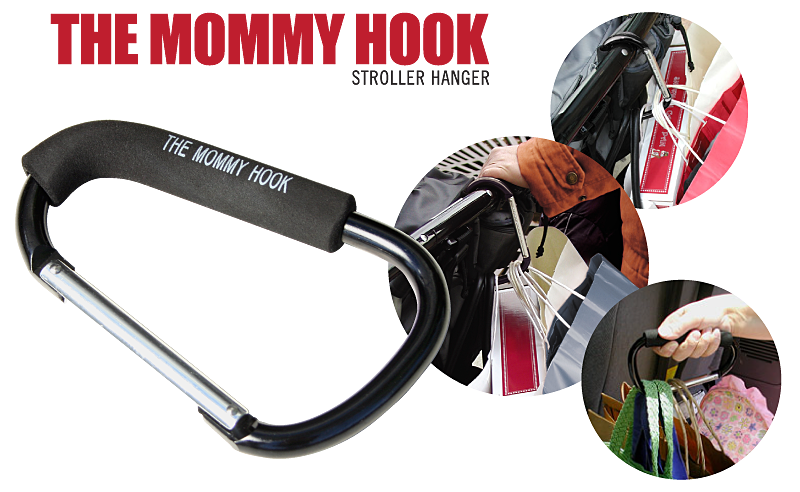 In the rocker I prefer the Boppy, probably because the seat is rather narrow. When on the couch or a chair, I like using the My Breast Friend. 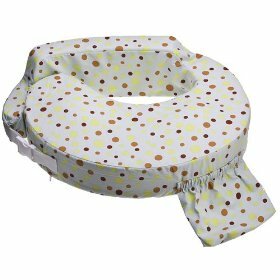 The nice thing about the Boppy is that it can be used for purposes other than nursing, such as support for the baby during tummy time (when he/she is really young), or to help the baby sit and have padding all around. Another use is when you come home after giving birth, if you were so lucky as to end up with painful hemorrhoids, it makes for a fantastic sitting surface, so I’ve heard. My Breast Friend is nice because it is shaped so there is no gap at all between mom and baby and is attached to the mother for a secure snug fit. Also, because it wraps around the mother’s body, it provides some lumbar support.